We specialise in web design and website development. We offer affordable Web solutions to suit any business. We can design and develop cutting edge web sites with professional SEO (Search Engine Optimisation) to ensure your business gets to the top rankings in the search engines. We can customise Content Management Systems if you would like to have control over updating your own content. Shopping cart system implementation is also available so you can easily sell your products online. Mobile Responsive WordPress websites are our specialty, let us create a winning solution for your business or personal website project. Talk to us about how we can get your business online fast using the very latest web technologies. We know what it takes to built a website that converts, so contact us today so we can work with you to create an innovative solution. Here is a selection of websites we have developed including fully customised WordPress sites. Factory Forty Six - Website design & development, customised mobile responsive WordPress site. 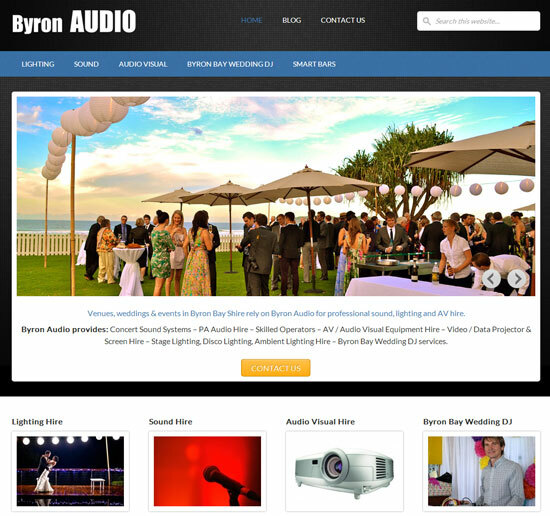 Byron Audio - Website development, customised mobile responsive WordPress site. 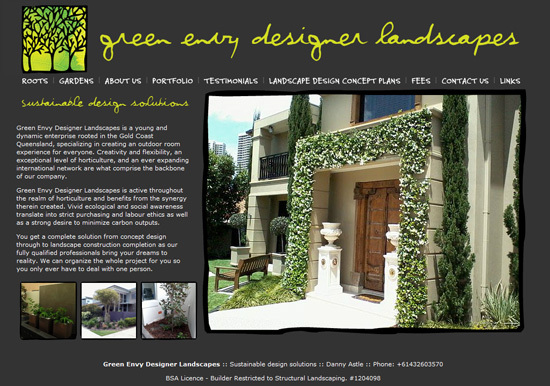 Green Envy Designer Landscapes - Website development. 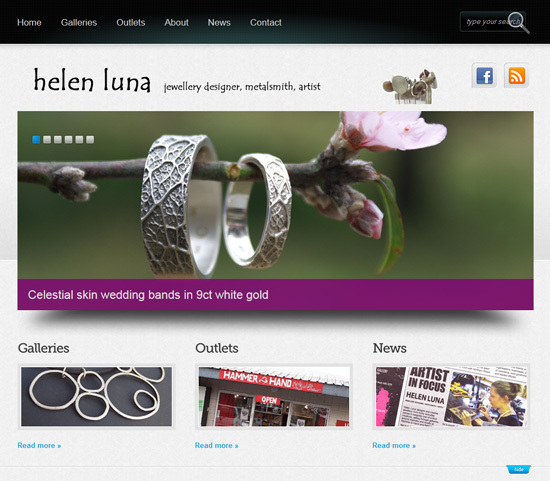 Helen Luna - Website development, customised WordPress website. 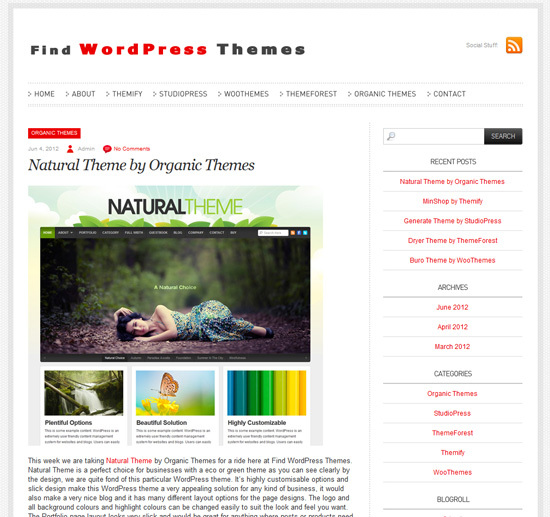 Find WordPress Themes - Website design and development, customised WordPress site. Byron Bay Web Hosting Blog - Web design & development, customised mobile responsive WordPress website. "I actually met Simon from Byron Bay Web Hosting when he came into my shop as a customer. He was always super cool, we got chatting and after finding out what he does, I soon had him on board doing my website. The great thing I found is Simon is easy to work with but also professional. Nothing I've thrown at him is a problem. In fact he is usually coming in or emailing me with ideas and improvements for my site - which is great for a procrastinator like me. I've been with Byron Bay Web Hosting for years and would easily say that you'd be doing yourself a favour by using Simon to build and host your website." 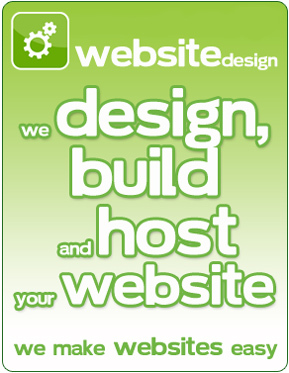 Not only can we build your new web site, we will host it for you too. 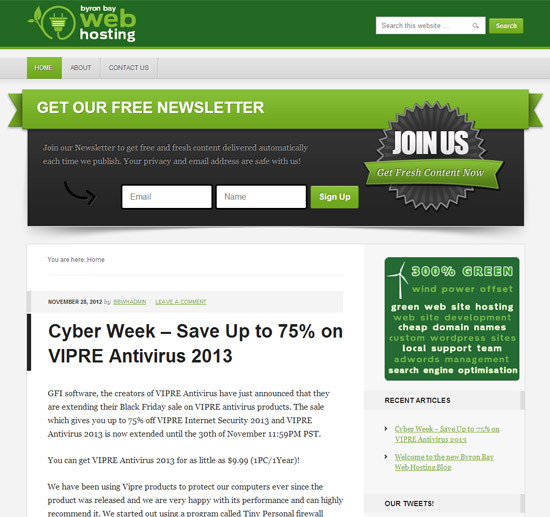 Refer to our Green Web Hosting Plans page for the best green web hosting plans.